Climate and land use change result in increased inputs into lakes. This includes loads of suspended and humic substances as well as nutrients that promote algae blooms. Such inputs act directly or indirectly as optically active substances and influence the light available to water plants. This effects aquatic plant communities, which structure aquatic habitats and supply essential functions to the lake ecosystem. Consequently, changes in the composition of aquatic plants will have a significant impact on the overall aquatic biodiversity. to determine the threshold values (tipping points) for substance inputs, which lead to significant changes in the underwater vegetation. 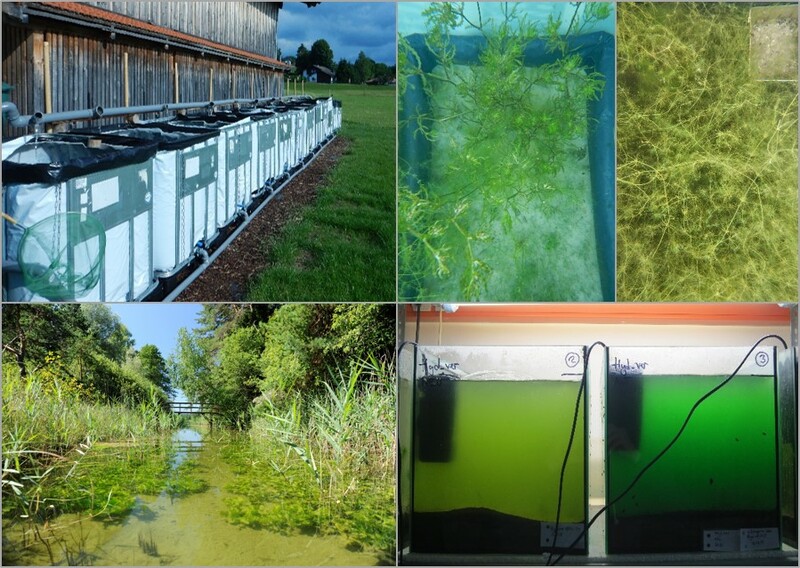 In cooperation with subproject 2, the tolerances and preferences of selected aquatic plants (macrophytes) are determined in experiments. On this basis, macrophyte and biodiversity models will be optimised. These studies are based on climate and land use scenarios developed in subprojects 1 and 4. In this way, data for the optimization of biodiversity models will be collected and the predictions of the models confirmed.